I have a minor suggestion for the next iteration of the NC HUD: If both of the following conditions are met, lower the position of the reserve-ammo counters to be flush against the slot numbers, so there is no "empty space" in the HUD. 1) The current weapon does not draw from any ammo or stat pool whatsoever. 2) Either there are no inventory items in the game or mod, or there are absolutely no items in the player's inventory whatsoever, therefore hiding the inventory display, since it is not needed. ShockwaveS08 wrote: lower the position of the reserve-ammo counters to be flush against the slot numbers, so there is no "empty space" in the HUD. I like to keep them where they are, so they're always in alignment with the (level) stats on the other side regardless. ShockwaveS08 wrote: Another day, another new patch! This time, Kriegsland: Blutorden gets the VIP treatment. As before, all ammo types and powerups are present. Since there is no mugshot in this mod to begin with, I used the appropriate ZScript coding to disable the NC HUD's mugshot display. A new version is out. 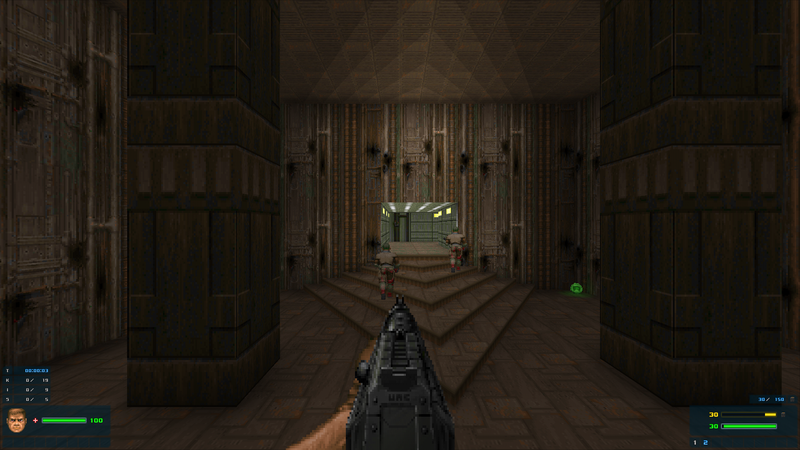 I'm so glad this now works with Chex Quest, mainly because I hate how the original removed the ammo counters. The blue color scheme also makes Harmony's status bar face fit really well. Going back to Chex Quest for a little nitpick, could the "K" in the level stats maybe be changed to a "Z", since you're zorching rather than killing? Blue Shadow wrote: A new version is out. Thanks for the update Blue Shadow, this is pretty much my go-to HUD. Its good to see a patch for Complex Doom, as far as I know there's only one other HUD specifically for CD and it hasn't even been released yet. Great job and thanks for the extra patches. Thanks for the compliments. Glad people are still enjoying this. SiFi270 wrote: Going back to Chex Quest for a little nitpick, could the "K" in the level stats maybe be changed to a "Z", since you're zorching rather than killing? How install it using ZDL 3? I don't know, since I don't use frontends. Is there a way do downscale the HUD? GZDoom HUD scale parameters don't help. I tried to fiddle with SetSize in NCH_BaseHUD.Init() and BeginHUD in NCH_BaseHUD.Draw() parameters, but got no positive result (I was able to make things worse, though). 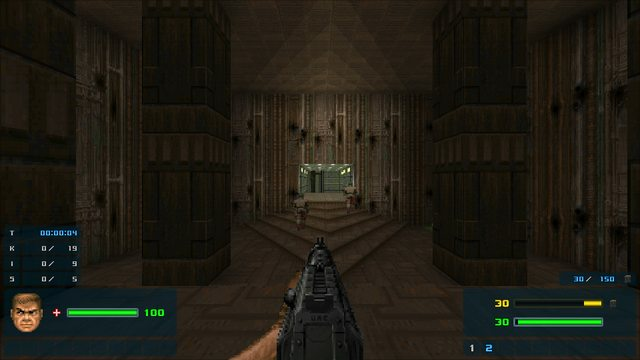 If there is no way to add a scale slider, maybe it is possible to alter the code so the HUD graphics are scaled down? That's a first! People usually ask if they could scale the HUD up because it's too small. I don't know if there is a way to scale it down, to be honest. Sorry. Smooth doom patch doesn't work as it never loads up your HUD in a game. I would like to request Strife support and maybe adding minimap/radar? Showing enemies and icons of weapons/powerups/armors. Kaptin wrote: Smooth doom patch doesn't work as it never loads up your HUD in a game. Works for me. Make sure the load order is: Smooth Doom -> main HUD -> patch. Strife support is partially there (it lacks weapons/ammo and keys pop-ups). As for the mini-map, sorry, no, it won't happen. Can i at least request Heretic support?